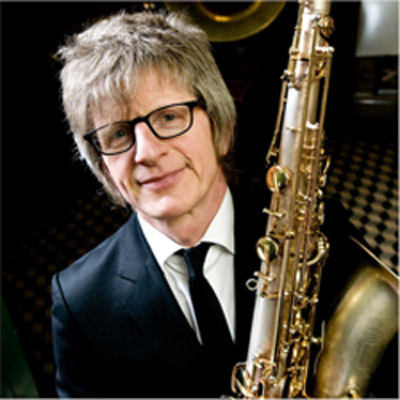 Frank Debruyne studied recorder and saxophone at the Royal Conservatory in Ghent.He currently teaches at the Academy of Music, Drama and Dance in Waregem. He works as a musician and arranger for Jo Lemaire, Mucho Gusto (salsa) and Indian Cigars (New Orleans Funk). Plays else in Hardscore (Frank Nuyts) and The Tivoli Band (dance music from the 20s-30s). Stood with 'The Concord Jazz Ensemble as soloist alongside Toots Thielemans. Was a guest at several symphonic orchestras. Is soloist in several projects of Dirk Brosse. Is much in demand as a studio musician. Collaborated with Paul Michiels, Johan Verminnen, Marc Matthys, Wim Opbrouck, Luuk Gruwez. Played at home and abroad with Taljoor Theatre (poetry theatre). Twice Theatre Taljoor was invited to the "WoorFees" in South Africa. Focuses on all forms of improvised music with both sax and ethnic flutes. Is currently working on the second CD of 'Pirana', a project of his own compositions. Nowadays he often writes for theater. The composition 'Nuts' on behalf of I Solisi Del Vento and The High Voltage Sextet for 'Golden Wings' received wide media attention.